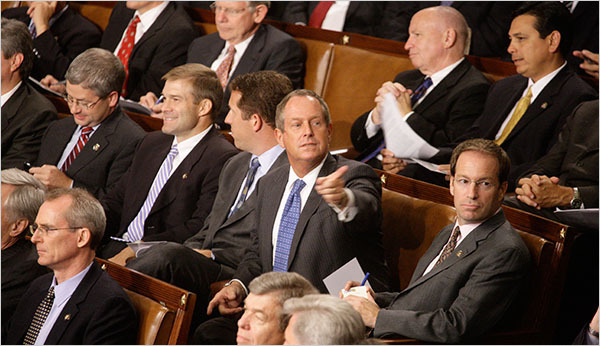 During President Obama's health care reform speech earlier tonight before a joint session of Congress, Representative Joe Wilson, a Republican from South Carolina, yelled, "You lie!" To their credit, the Republican leadership recognized that Wilson's outburst was inappropriate. Later, Wilson's office issued an apology. It would be very dismaying if this is the level of discourse that the Republicans are willing to grant the American people.